We move in to the January transfer window and with the start of the new Chinese Super League season around the corner rumours are ripe once again of the big names that could be making their way East. We have already looked at a few names but one that really stands out is the name of Pierre-Emerick Aubameyang. Aubameyang moving to China would be huge news as this is a player at 28 who still as a lot to offer. The man who started at AC Milan but went on to make a name for himself at Borussia Dortmund as often been the subject of big transfer news. The idea of him coming to China would be crazy as Liverpool and PSG have been linked with a move for the Gabon striker. 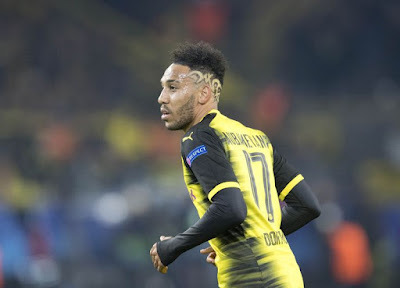 Former Liverpool player Steve Nicol was quoted as saying "If Aubameyang goes to Liverpool, I would be absolutely delighted," he said on ESPN FC. "But it's not happening. Why would Aubameyang pick Liverpool over any other team? I'd love to see it happen but I don't believe it's going to happen." With such quotes how would anyone in China be able to attract his attention? You would imagine those big cheque books in China would be the answer. It looks nevertheless like Guangzhou Evergrande have made around a £64 million offer for the striker. The reports suggest the move is already finalised and will be completed this summer so fans in China will have to wait a bit longer to see this big name in China.